This heart-warming adventure for dog lovers everywhere is a great match for fans of books such as The Fourteenth Goldfish and A Snicker of Magic. Eleven-year-old Jordie Marie Wallace has been waiting forever for someone to move in next door, so she is thrilled when Professor Reece arrives: she has a laboratory in her basement and an extraordinary dog named Baxter—who seems to understand everything Jordie says. Jordie and her younger brother T.J. begin walking Baxter and helping Professor Reese in the lab. But being lab assistants ends up being more than Jordie and T.J. bargained for and leads them to a secret neither of them expected. When Professor Reece goes missing, it is up to Jordie and T.J. to use their smarts and Baxter's magical powers to find her. Will they be able to save Professor Reece before it's too late? 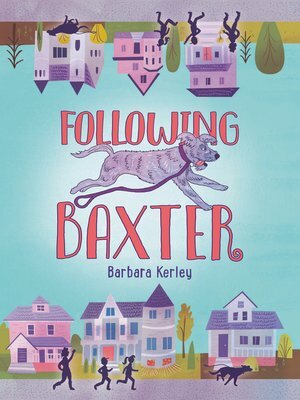 From award-winning author Barbara Kerley comes a sweet and funny story about a young girl, a quirky professor, and a magical dog.